Troy's projects:: Evolving Plants, completed and now with a git-hub! 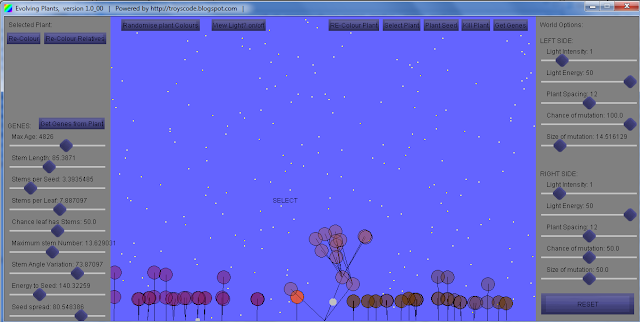 Evolving Plants, completed and now with a git-hub! Download the github source code, this will be the most up to date version of the main git-hub. Or download the runnable Evolving Plants.jar to have a play with the simulation.